In October/November of 2016, TECHNE headed to the west coast for a week of workshops, lectures, and concerts. We worked with ProArts Gallery in downtown Oakland to present a Teach the Teachers workshop to Bay Area Girls Rock Camp volunteers and administrators, teaching them how to build and run an Electronic Music: Powered by Girls workshop. We followed up with a concert with local collaborators Marshall Trammell, Nava Dunkelman, and Jeanie-Aprille Tang. Then it was on to Mills College for a 3 day workshop, lecture and concert as part of their prestigious David Tudor Artist in Residency program. Together with undergraduate and graduate students we presented Sounding Points of Light, a workshop that allows participants to build and perform with light controlled oscillator instruments. The students presented their instruments on a double bill with Suzanne and Bonnie for the final day of the residency. TECHNE is heading to Mills College for three days of workshops, concerts and lectures. We’ll be creating light controlled oscillator instruments with students as part of the Sounding Points of Light workshop, then presenting a concert with the students and a duo of Bonnie Jones & Suzanne Thorpe. Mills students will present an improvised piece using electronic instruments developed in a workshop with Suzanne Thorpe and Bonnie Jones. The piece uses light controlled oscillators and field recordings of found sounds sourced from Mills campus. This part of the program will be presented in the Greek Theater outdoors behind the Concert Hall. 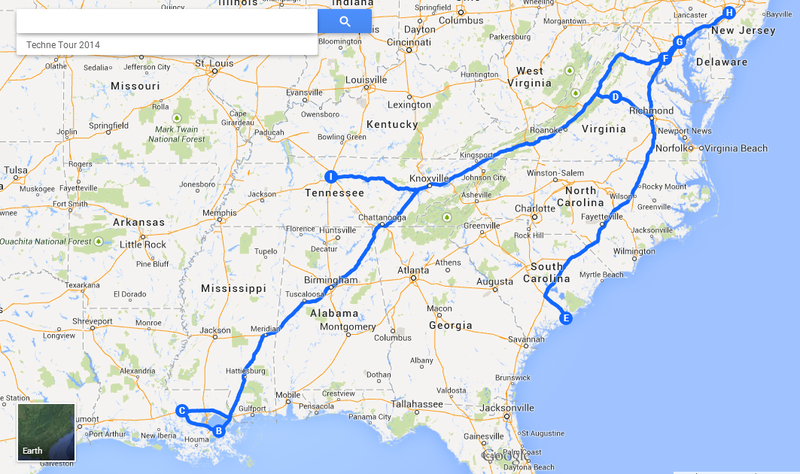 Techne on the long road south! 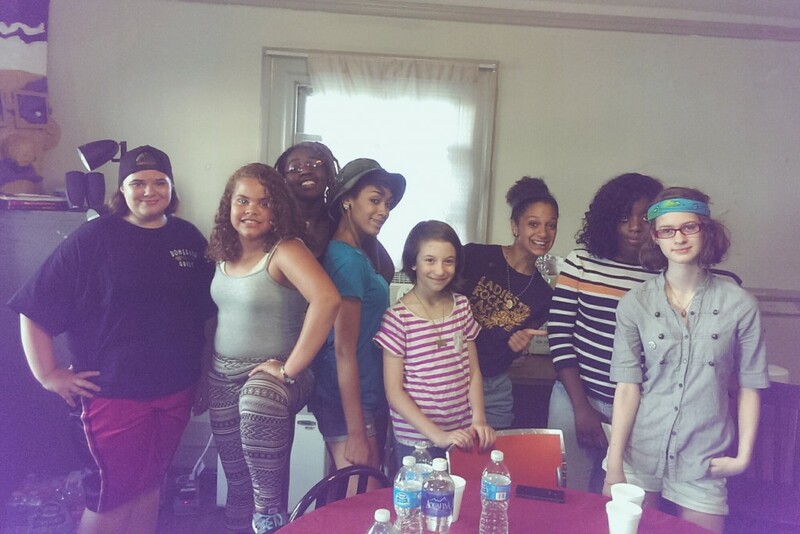 This July Techne took their Electronic Music: Powered by Girls Workshop on the road to Girls Rock Camps and arts centers in the southeastern United States. For the entire month of July we traveled to 10 different cities working with young campers, counselors, instructors and volunteers. In addition, we connected with local music promoters and organizers and presented concerts at some of our favorite local venues. Here’s all the amazing venues, arts organizations, and camps we collaborated with on our tour! Girls Rock Philly rocks the Rotunda…. photo from Daizha’s blog post. In Philly we did a 2 day workshop to build the contact mic and then present a public concert at The Rotunda in collaboration with Bowerbird. Here’s a clip from our concert! Some pics from the road where I celebrated my 37th birthday and made 8$ on my shirt in New Orleans, Suzanne bought fireworks South of the Border, we visited Lincoln’s birthplace, we geeked out on synths in Asheville, NC, ate Spudnut donuts in Charlottesville, VA, and swam in the warmest ocean water at Folly Beach in SC. A HUGE thank you to our Indiegogo donors! None of this would have happened without the generous support of our Techne Indiegogo donors. Over 165 of you donated over $8,000 to make these workshops and concerts possible. ARISE: A Dynamic Musical Environment for Change is an innovative electronic music program created by arts organization TECHNE, founded by musicians Bonnie Jones & Suzanne Thorpe. ARISE is an ecosystem of interconnected music, technology, and arts events that explore social identity through electronic music and improvisation. 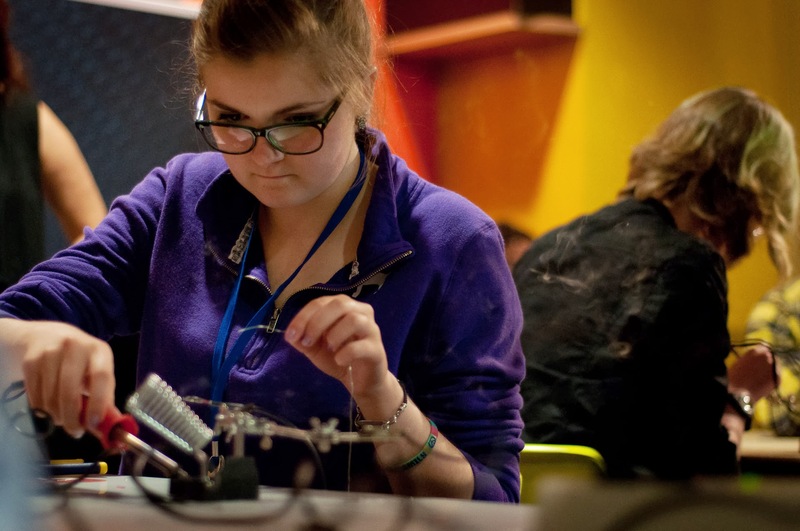 Working in collaboration with local Girls Rock Camps and concert venues, TECHNE is giving workshops in DIY electronics, alternative instrument building and improvisation, and co-curating concerts featuring Bonnie and Suzanne in duo, plus local female artists. The workshops and performances, together, create a network of encounters that dynamically inform one another in the moment, and beyond, rippling outward to enhance the roles of women in technology and electronic music. ARISE will be taking place in several US cities this summer. The tour includes workshops at Girls Rock Camps and local nonprofit arts organizations, and concerts held at local venues. Workshops are only open to Girls Rock campers with the exception of the Bridge PAI workshop in Charlottesville, VA. All concerts are open to the public.